In Sanskrit " aduatvad " the base that sustains this system is given, it is a solid based on the realisation that this non dual conscience is the essence of everything that exists and is full of power .Kashmir Shaivism is a deeply auspicious yoga. 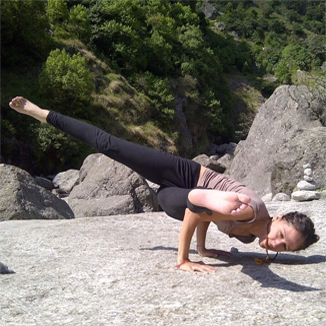 The Kashmir Shaivism School of yoga teaches how through the refined alignment we can develop our inner ability to feel that we are in harmony with the spirit that is the force that holds everything. 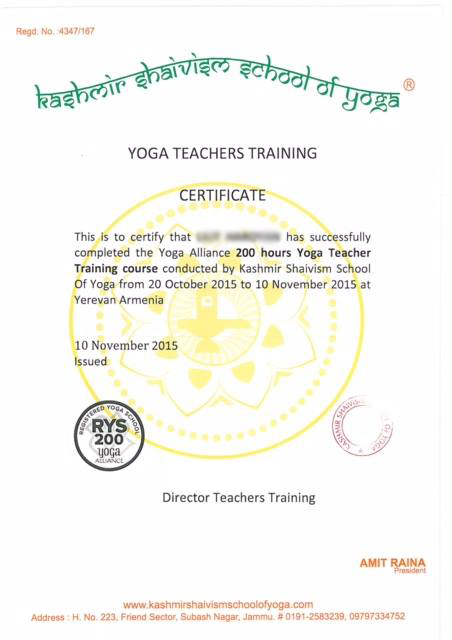 What is a 200 YTTC at Kashmir Shaivism School of Yoga ? The TTC is designed to give a solid base of practical understanding of the 1 level in the training certification, is for all the dedicated students and for those who want to deepen beyond regular classes or workshops. 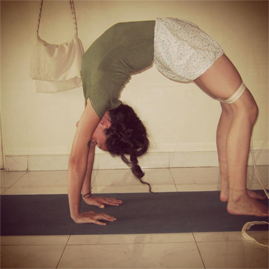 In the 1 level we will go through a journey in the history of yoga as well we will become aware of the differences and similitudes of the different systems of yoga to find out our authentic path. 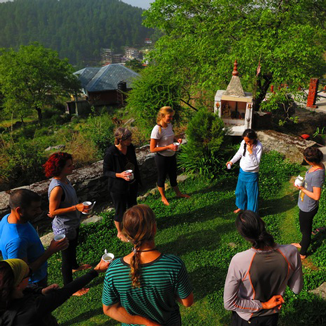 Following is the itinerary for the 200 hour yoga teacher training in Dharamshala. 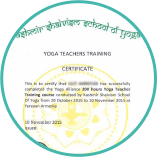 This level is the first course of Yoga training at Kashmir Shaivism School of Yoga consisting of 200 hours ( contact and non contact ). 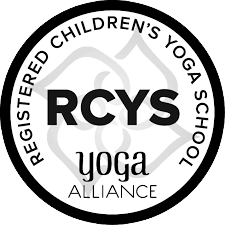 Perform a complete immersion in the 1 level is a requirement for all students who want to access to the 2 level teacher training or to specialise on restorative yoga for women. 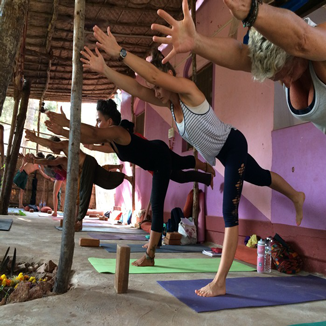 Please join us for the similar training courses (200 hour yoga teacher training) in Goa. See the following dates and enroll yourself. Analytical training in how to teach and practice the techniques, and 2) guided practice of the techniques themselves. this category include Asanas (type, categories) ,preparatory postures (Sukshma Vyayama),Suryanamaskara (Variations, meaning, approach) Meditative asana,use of props ( chair yoga, bolsters, belts, Ropes, walls), Special emphasis in therapeutic approach to adapt for different conditions as back pain, knee and shoulder Breathing patterns ,pranayamas, mudras, kriyas, bandhas, meditation and other traditional yoga techniques from Kashmir Shaivism, , chanting of Mantras and Sanskrit Classes. both areas have substantial emphasis. Thanks for everything, my self-confidence really changed. I’m happy about that. . I had the experience to see goodness in different people and be together in this journey.